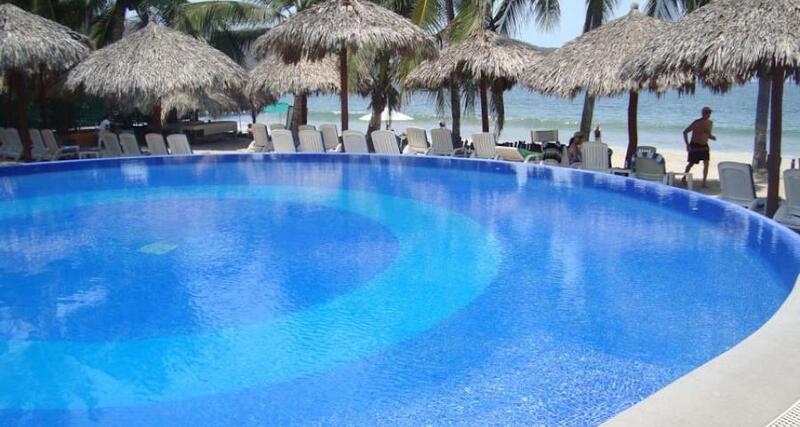 Hotel Villa Mexicana is a 4* beachfront hotel located in Zihuatanejo, Mexico. It features 64 rooms and swimming pools. Hotel Villa Mexicana is a charming resort that combines colonial and Mediterranean architecture with the beautiful palm trees and calm waters of Zihuatanejo Bay. It features comfortable Mexican style accommodations and distinguished services that make your stay relaxing and pleasant. Guests can enjoy international and local cuisine at the hotel restaurant and the Beach Club offers individual palapas, lounge chairs as well as a full service bar and restaurant. During your stay at Hotel Villa Mexicana, you can enjoy a variety of activities that make your visit to Ixtapa Zihuatanejo exciting and memorable.